Baptismal preparations classes are held the 3rd Wednesday of each month. Baptism ceremonies are held on the first Saturday of the month at noon and the second and third Sundays of the month at 2:00. 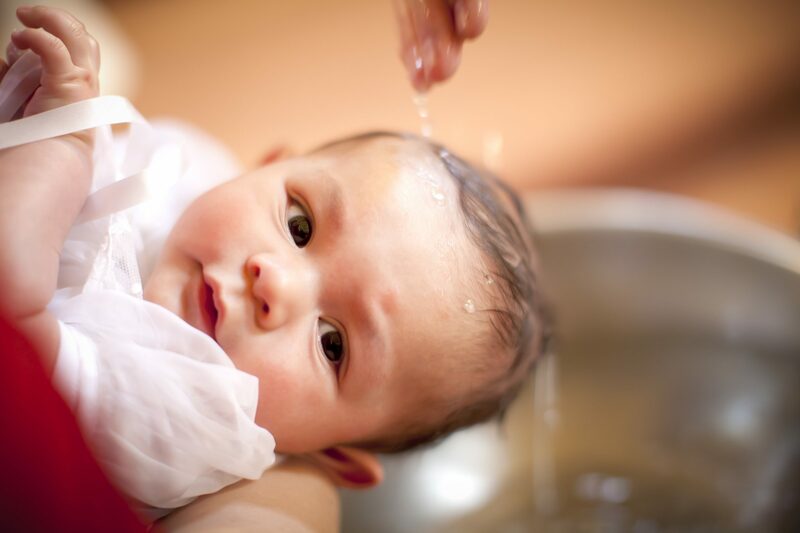 Parents must be registered parishioners of Our Lady of Mercy, Please call the parish office to register for the baptism preparation class and to schedule a baptism date. Preparation for the sacrament occurs in high school (can begin freshman year) and is a part of the L.I.G.H.T. program. The sacrament is administered in the fall of each year for students who have been prepared and are ready. Information on the sacrament can be obtained through the L.I.G.H.T. program or by contacting the youth ministry office. Preparation for the sacrament begins in first grade Religious Education classes and continues through second grade. Attendance at a parent meeting is required. A child needs to be in first and second grade programs to receive Communion in the spring of second grade. 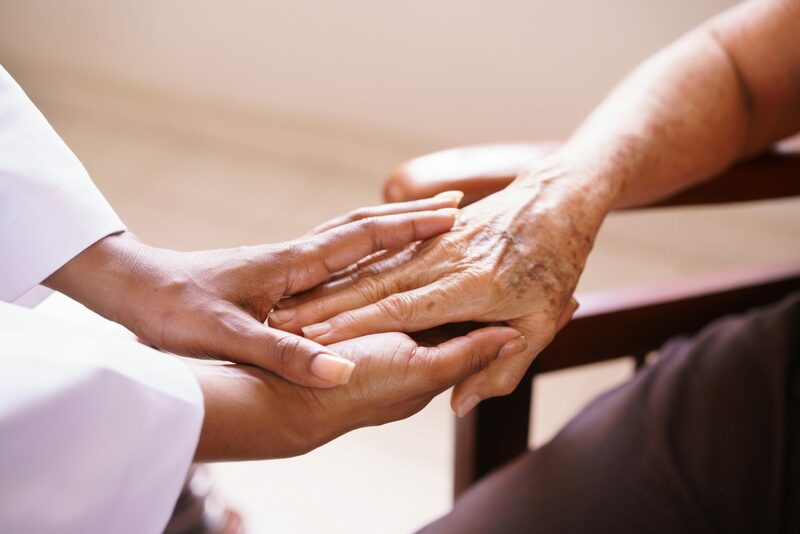 In the Sacrament of Healing; Reconciliation and Anointing of the Sick, we are reconciled to God and the Church. 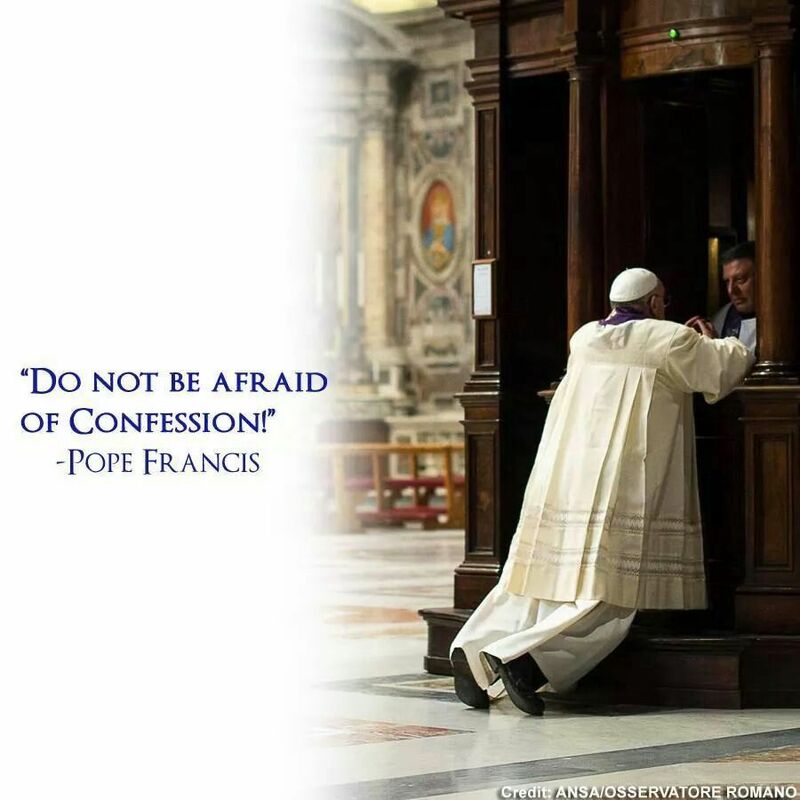 The sacrament of Reconciliation is about the mercy of Jesus Christ. 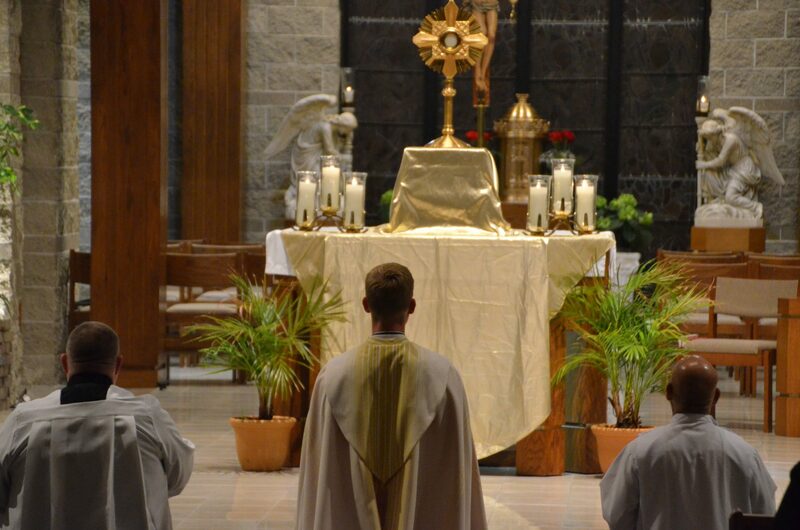 Come feel the mercy of God on Saturdays, from 3pm – 3:45pm. 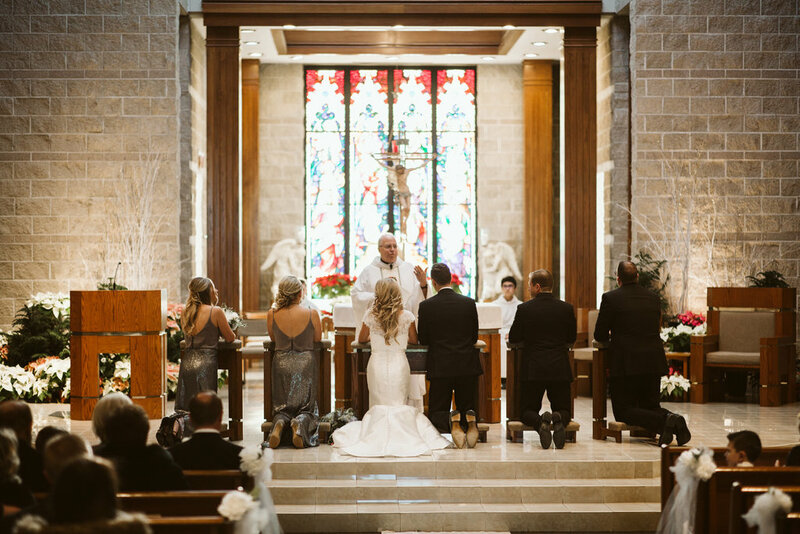 Holy Orders and Matrimony belong to the Sacraments at the Service of Communion. This means they are primarily directed toward the salvation of others. The recipients of these Sacraments grow in holiness through their service to others. Please note that Engaged couples must be registered, practicing and contributing Catholics. According to Diocesan law, the date of the wedding must be selected six months in advance of the actual Sacrament of Marriage being performed. Please call to inquire about available dates (630) 851-3444 or “Get In Touch” with us via email. To discuss or learn more about a vocation to the Catholic priesthood or religious life, check out the Diocese of Joliet’s Vocations website.